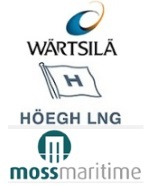 édité le 26/08/2016 - Plus de news de "Hoegh LNG" - Voir la fiche entreprise de "Hoegh LNG"
Höegh LNG Holdings Ltd. ("Höegh LNG" or the "Group") announced that it has signed agreements with Wärtsila Oil and Gas (EPCIC regas) and Moss Maritime (engineering) for its first FSRU conversion project, including the ordering of critical equipment with long lead time. By ordering said equipment in advance, Höegh LNG will reduce the conversion schedule by six months- from 18 to 12 months, giving a planned delivery date for the FSRU conversion project end 2017. The conversion design is in line with several of the Group's short-listed projects. Sveinung J. S. Støhle, President and CEO of Höegh LNG, stated "by doing FSRU conversions Höegh LNG can capture additional business opportunities with start-up at the end of 2017 and in 2018, which our FSRU newbuilding programme cannot meet. Our strong in-house technical expertise and our ability to order critical equipment with limited risk due to our newbuilding programme, enables us to take advantage of the strong fundamentals in the FSRU segment." In 2015, Wärtsilä's net sales totalled EUR 5 billion with approximately 18,800 employees. The company has operations in over 200 locations in more than 70 countries around the world. Wärtsilä is listed on Nasdaq.